Sales training in your dealership: worth the money? Is sales training in your dealership worth the money? Is sales training in your dealership worth the money? That’s the question you’re trying to answer. How do you even start making that decision? 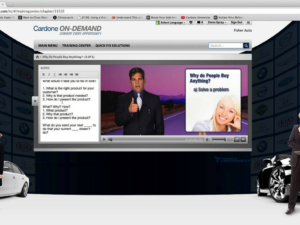 If providing sales training for your dealership is worth the money? Of course, it is. It seems obvious. So why the hesitation? Maybe it’s the wrong question? Perhaps, the real question is, will the program get used or will it be another thing we tried that didn’t work? If sales training works, it’s an asset. If it flops, it’s another liability. So that’s the reality. How do you also make sure that it is an investment with a solid return and not just another expense on the statement? What’s the ROI of the light bill? What then is the ROI of keeping the metaphorical lights on for the salespeople? What about the waving flailing inflatable tube man? What’s his ROI? There is a flip side, however. What if the dealership or store’s culture, sees sales training as a waste of time, ineffective or intangible? Some believe they’ve done OK without it, so why add one more thing? Others are convinced you can’t teach an old dog new tricks. Ironically, it’s usually the old dogs who need it the most. There are beliefs that sales people are lazy, unmotivated, that you either got it or you don’t, there’s not enough time, and so on. One thing we can conclude either way is that if your people can’t effectively service and sell a customer, you’re not going to remain in business very long. And while you may not see training as a viable solution or asset yet, is it at least worth considering sales training as a matter of prevention? If you want to avoid getting sick this flu season, how much value is placed on prevention? Once you have lung cancer, for example, you’re now treating the disease and minimizing the discomfort. 20 years ago when you started coughing every morning, it would have been preventative to stop smoking and start an exercise regime. Now the question becomes, is sales training worth it to immune your business and staff from financial and economic sickness and cancer? Preventive actions are always more economical. If 2008 taught us one thing it’s that bubbles like to burst. If your dealership’s prepared, you thrive anyway. If not, then you get to scramble to survive and then you find yourself relying on luck and hope, not skill. Which one’s more dependable? What do you pay your sales people? What do you pay your managers? Cash Value of employee benefits (insurance, 401k, vacation)? What bonus programs do you offer? What is the total compensation for sales staff? What is total compensation for managers? What is the importance of your sales department in relation to the solvency of the dealership (scale from 1-5)? Average time at work for a salesperson? Average time at work for manager? Actual time spent per day with clients and opportunities? 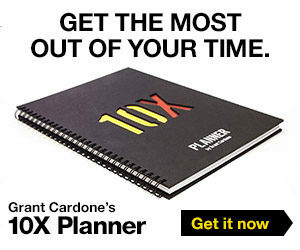 Actual time spent per day prospecting? Dollars spent on advertising (both traditional and on-line)? Current time invested in daily training, problem-solving and preparation? What is your phone appointment to show ratio? What is your greeting to demonstration ratio? What is your ratio of proposals presented? Desired outcome: What’s the difference between where you are and where you need to be? What would the desired outcome mean in terms of gross profit dollars per month? What is the cost associated with training per month? What is the difference between the monthly desired outcome and cost of training? OK, so sales training is worth it, NOW WHAT? Once you’ve decided sales training is a worthwhile investment, how do you do it effectively? Learning from experience alone (winging it) is expensive and the last thing you want is your salespeople “learning” from your customers. As a leader of your organization, you may struggle with managers who aren’t consistent, who don’t push the sales staff for excellence and who don’t like to talk to customers. You can struggle with finding the right people to hire and then the one’s you have now who won’t go above and beyond. When you’re not there, do you know if there’s any real leadership? Does everyone there seem like they’re completely covered up? When and how do you train your managers and salespeople? How do you push them to strive to get better? 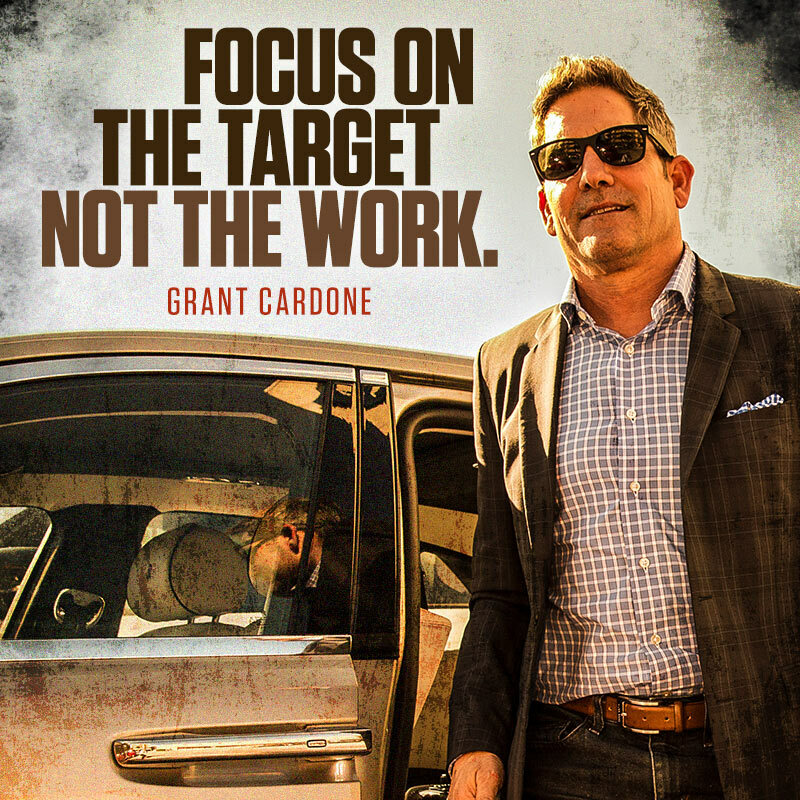 How do you dominate in your market? How do you make sure that your training maximizes your advertising dollars? 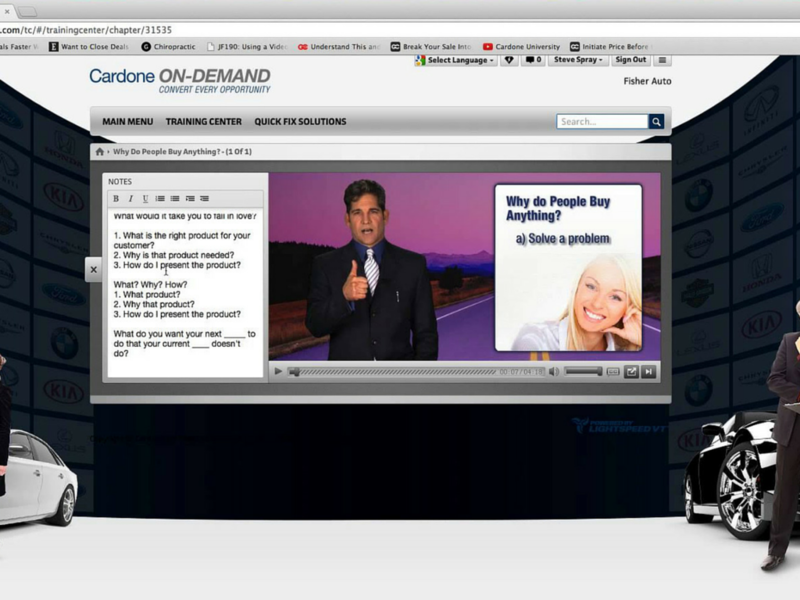 Sales training, in order to be effective, needs to be quick, relevant, and solutions oriented. Sales people learn best when they get the help they need to solve the problems they are dealing with on any given day. Most sales people will resist education but embrace a solution. Give them something that will solve a problem and is relevant to them today and they will use it. Training also needs to be focused on creating and maintaining positive, enthusiastic employees with the right attitude who have a customer-centered approach to selling and are operating at high levels of action and activity that will build the business and keep the business secure from any economic storm that may rear it’s ugly little head in the future. 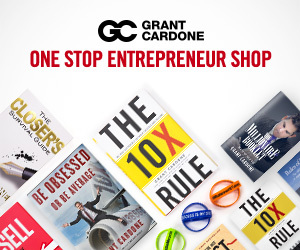 If you have a question or would like to look at a solution that will help with training, meetings, and troubleshooting, leave a comment below or email me at david@grantcardone.com. Always happy to help!